St. Louis is a city with a lot of history. Some of the homes in the historic district date back over 100 years and many of them still have original roofs on them, which is quite impressive construction! And while St. Louis is a long way from Dallas, our services are in-demand across the country as we work with various engineering groups, contractors and builders and other professional services firms who have offices not only in Dallas, but in many other cities and states. Many of our projects originate in Dallas, but the projects are elsewhere. 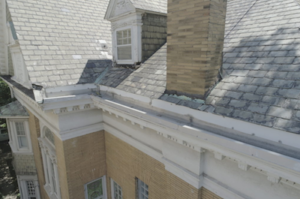 Drones are changing the way property owners can inspect roofs. 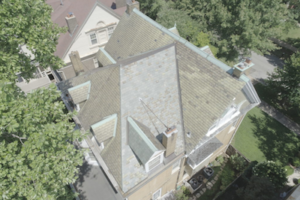 We recently performed an aerial photography job helping an engineering firm document the condition of a residential roof in high detail for the home owner who is trying to decide where repairs need to be performed on this roof. In the inspection process with the engineer, we determined that this roof system could be the original roof from when it was constructed. Our job on the project was not to just come in and take a few overview pictures. We had to get up close so the engineers could identify and review the minor defects present on the roof clearly. With many homes that have trees and other structures quite close to the home, this can become quite a challenge using a drone. 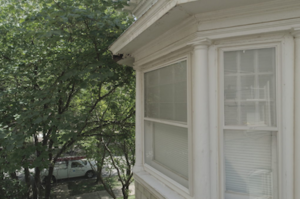 While it is challenging, it also presents a unique opportunity to capture the photos more safely and efficiently than walking the roof when it would be considered to dangerous to get to. To learn more about how Tarillo Vue can help you leverage drone technology to you and your clients advantage, give us a call at (214) 842-6000.